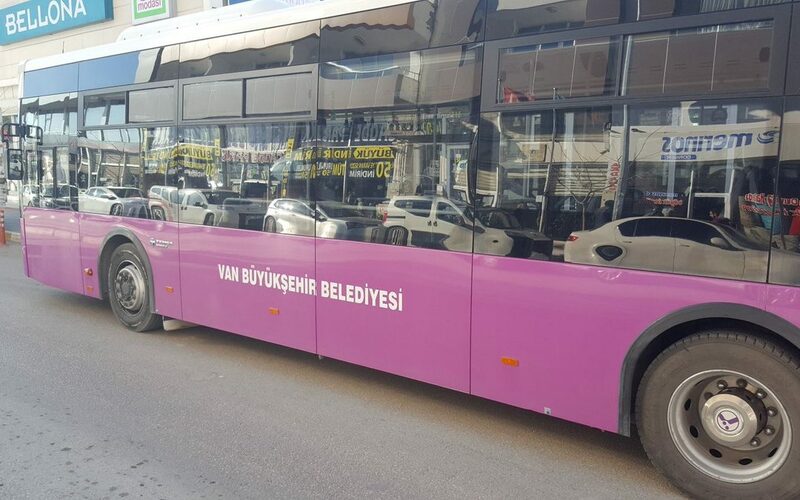 New mayor of Van province, who has recently been appointed by the Turkish government in place of democratically-elected pro-Kurdish mayor, has reportedly removed all the Kurdish signs and words from public busses operating within the province. Turkey’s Interior Ministry appointed trustees to the Van, Mardin and Siirt municipalities in Turkey’s east and southeast region, replacing democratically-elected pro-Kurdish mayors with government-appointed figures. In a statement on Nov 17morning, the Interior Ministry announced that Mardin mayor Ahmet Türk, Van mayor Bekir Kaya, who was detained in the early hours of the same day, and Siirt mayor Tuncer Bakırhan, who was arrested on Nov 16, have been removed from their posts.